Dennis Marsh is a country boy at heart, born 22-02-51, under the stars, literally, on the verandah of his grandparents home in Te Kuiti. He grew up loving the outdoor living ~ hunting, shooting, fishing, horse riding, which was very much part of his early years. His Dad�s work on sheep stations meant many moves during Dennis�s early schooling years. From the small village of Ongarue, to Waimiha, Ngkonui (not far from Taumarunui) and to Kuratau. He attended Tongariro High School and he referred to himself as �not the brightest light� in the family! He was a School Prefect, not by his choice but by the people�s choice! After spending a couple of years in the 5th Form, trying desperately to learn things that didn�t seem to matter, Dennis decided to do an apprenticeship as a Carpenter/Joiner. 1969 he said �Goodbye� to his parents and 9 brothers and sisters to travel to the Hostel in the �Big Smoke� to begin his trade. Dennis was not used to the hustle and bustle of city life where trains and buses replaced horses and tractors! While in the Hostel he played Rugby (in a church group), volley ball, indoor basketball and ran school camps. 1970 ~ One of five to be selected, by a panel of judges, from singers all over NZ, to form part of a group called �Living Bread� to represent the NZ Youth for Christ in Sydney, Phillipines and Singapore. This was really Dennis�s first experience in recording as the group cut an album in Wellington�.on a vinyl record..an LP! 1976 ~ Attended Theological College in Henderson for 2 years and was Assistant Minister at the Maori Evangelical Fellowship Church. Dennis formed and was Youth Leader, of what is believed to be the largest Youth Club in the country. It was so big they had to use the Mangere College Gymnasium. Even today, he meets many of the youths from his club, in every walk of life. 1984	~ �Dragged� along to his first Country Music Club ~ Manurewa. He was called up to sing for the first time and has never looked back! 1985	~ Won his first Country Music Trophy ~ Senior Solo and Senior Instrumental (playing the �Squeeze Box�!) and ended up being the Overall Winner of the Awards. 1986/1987/1988 ~ Won a �mixed bag� of awards including the Australasian Gospel Award at Tamworth, Australia. 1989	~ Won the Tauranga Overall Awards which made him an entrant into the New Zealand Country Music Entertainer of the Year. ~ Released his first album �For You�. ~ Dennis was battling with unknown health problems this year and after visiting his doctor found himself on the operating table three days later undergoing major heart surgery to have his first heart valve replacement. This did not stop Dennis in any way ~ in fact it gave him more energy to really get into his music and building, at the time. ~ With a flair for redecorating houses, he bought and sold houses for a couple of years and was in great demand to entertain, doing guest spots all over the country from North/South to East/West. 1990	~ People were sending songs for Dennis to record, hence the next album, �Your Choice�. The first Dennis Marsh Band was formed as the phone was red hot by now! Two of his original band members are still with him today. 1991~1998 ~ Released: �Lucky Star�, �Hobo� (in a Silk Shirt), �Feelings�, �Dad�, �Out of Mexico�. Out of Nashville� ~ album number 8 was recorded when air play for NZ music and especially Country Music, was at an all time low. The only Auckland Country Music Station was playing about 2% Kiwi Music. Dennis was told that his music was not up to the standard required for airplay and faced with this comment, his only choice was to have an album recorded and mixed in Nashville, USA. Even with all the top Nashville musicians, it never received the airplay it deserved�..it was real tough ~ and still is ~ to make a career in music in NZ and even worse if it �was country! �Out of Nashville� was his first album to be nominated for the Clear Awards. It was runner-up. Dennis�s desire to compete and survive in the music arena pushed him to better heights and he recorded an Inspirational album, �Faith�, with the Yandall Sisters completing the overall sound with their harmonies. This album was in the final 3 of the Tui Awards (x Clear Awards) in two categories�.Gospel and Country. 1999 ~ �Faded Love� was recorded in a new studio with a new sound. This was album number 10 and it was 10 years since the heart valve transplant and 10 years in the entertainment industry so it was high time to �party�! Dennis and his wife Yvonne spent 6 months organising a concert in the Founder�s Theatre in Hamilton. This proved to be the biggest and best show of his career. Everything was $10 ~ Entry, T Shirts, Caps, Albums. The theatre was packed to capacity with buses from all corners of the country�.Kaitaia, Gisborne, Auckland, Te Kuiti and Wellington. This was a very emotional evening and Dennis received no less than 4 standing ovations, one when he was presented with his first two gold albums for �For You� and �Your Choice�. The numerous charity shows he performed for meant he didn�t have a life outside music so it was now time to hang up the hammer and concentrate on music full time as recordings, bookings and music in general had now become a job and not a hobby. Dennis has, of late, concentrated on helping the Patumahoe Fire Brigade raise funds for a new �Little Flick� fire engine and started the ball rolling for them by donating all his fees to the Fire Brigade from the �Christmas in NZ� release concert and a percentage of the album sales, which he still does today. 2000	~ Album number 11 ~ �Out of New Zealand� ~ is Dennis�s best yet and reached Gold status within the first 3 months and is his first Platinum album. 2000/2001 ~ A disastrous year health wise again. After suddenly becoming very ill on the eve of his �Sky City� concert to celebrate the release of his 12th album, �Christmas in New Zealand, tests within the next 2 days, showed he had septicaemia and Dennis was back in hospital for his second heart valve operation. It was a �scary� Xmas but the prayers and well wishes of his many friends and fans, put him back on track. ~ This really took its toll on Dennis and Radio Waatea asked if he would like to fill in a few days as DJ with a Country Drive Time Show while he was recuperating. The end result being that he was there for two years and built up such an audience that he rated number one in a matter of months. At Xmas time, he had no choice but to leave the radio for a while as his commitments were leaving no time to do justice to his Radio work. Also two adored grandchildren arrived on the scene and Dennis has such a repoire with children that he wanted to spend precious time with them. He is looking forward to returning to Radio work one day as he really enjoys communication and Radio work in general ~ he is very much a people person and is always approachable to his many fans. 2001	~ Back into the studio again to record album number 13, �To Get to You�. 2002	~ Ben Tawhiti, Dennis and friends were invited by White Gloves Productions, to film a 4 part Musical Series to be screened on TV in the latter part of 2003. Two other TV invitations for Dennis to host are in the pipeline. Dennis has had small parts on a couple of TV episodes and has done several TV ads. 2003	~ The album, �Out of New Zealand� prompted his Distributor to contact a promoter to organise a tour which began March 15th and ended March 30th to 14 venues throughout the North Island. Although Dennis has performed all over NZ (only tipping the �iceberg� of Sth Island as guest in Gore, Queenstown and Christchurch) and has been a guest in Australia and Norfolk Island, his dream has been to do an organised tour and now, after the huge success of this, his first tour, another Nth Island tour is being planned and a South Island Tour will follow. From a family of 10, Dennis and his wife, Yvonne, live in Patumahoe, a small village between Papakura and Pukekohe and have 1 daughter, 2 sons, 2 daughters-in-law and 2 grandchildren between them. His hobby is fishing and he spends any valuable time he can find, out on the Waitemata with a couple of friends, often fishing right into the late evening�..more often than not arriving home with his quota! He has the gift of being multi-talented when it comes to playing any musical instrument (he was resident drummer for his Country Music Club up until he became over committed with bookings) and he can also drive any machinery�.give him wheels and he will make them turn! A very supportive Fan Club of over 1500 members, have evolved over the past 2 years and Dennis appreciates and values their incredible support. 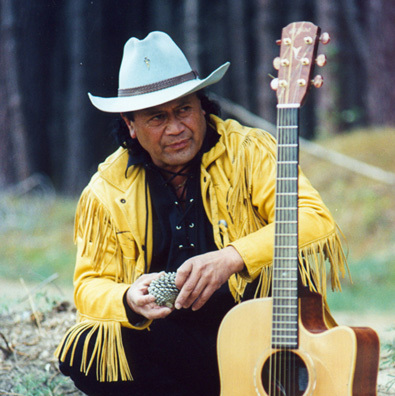 Dennis was �headliner� at the 10th Anniversary of the Norfolk Island Country Festival this May and is also headlining the Australasian Variety Spectacular over there in November, with Pio as compere.